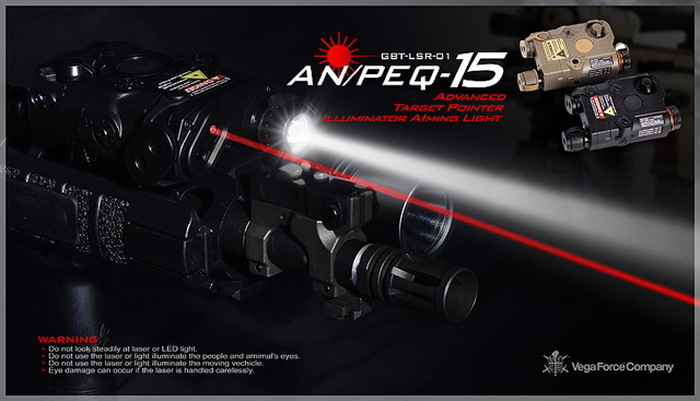 The VFC AN/PEQ15 features a fully adjustable laser and a high output white light illuminator. Some of you may have been waiting for this for a long time and cannot wait to put this on your KAC PDW. This product comes with a detachable remote pressure pad allowing you to adapt the activation switch to where you find most convenient. Note: this picture is just an illustration of the VFC PEQ and you will be shipped a tan version if you purchased one through from this page. 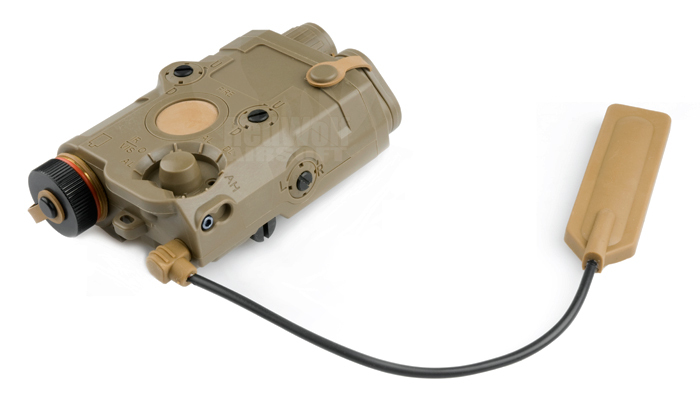 Using 134a type batteries, a common battery for airsoft accessories, you're not going to have to source any alternative power source for this item along with having both types of illumination devises in one package, you will no longer have to fix various accessories on to your gun just for the same effect!